Between too early and too late, there is never more than a moment. False ideals cannot be shattered by criticism. Right ideals must take up the battle against them. The basic formula of all sin is: frustrated or neglected love. Religion is the everlasting dialogue between humanity and God. Art is its soliloquy. The safest wealth is the poverty of needs. Last December 13th (1964), there appeared in the newspapers the juiciest, spiciest, raciest obituary that has ever been my pleasure to read. It was that of a lady named Alma Mahler Gropius Werfel who had, in her lifetime, managed to acquire as lovers practically all of the top creative men in central Europe, and, among these lovers, who were listed in the obituary, by the way, which was what made it so interesting, there were three whom she went so far as to marry. One of the leading composers of the day: Gustav Mahler, composer of Das Lied von der Erde and other light classics. One of the leading architects: Walter Gropius of the Bauhaus school of design. 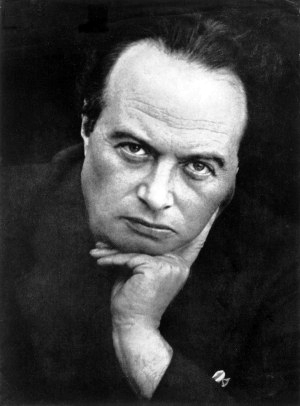 And one of the leading writers: Franz Werfel, author of The song of Bernadette and other masterpieces. It's people like that who make you realize how little you've accomplished. It is a sobering thought, for example, that when Mozart was my age, he had been dead for two years. It seemed to me, I'm reading this obituary, that the story of Alma was the stuff of which ballads should be made, so here is one.